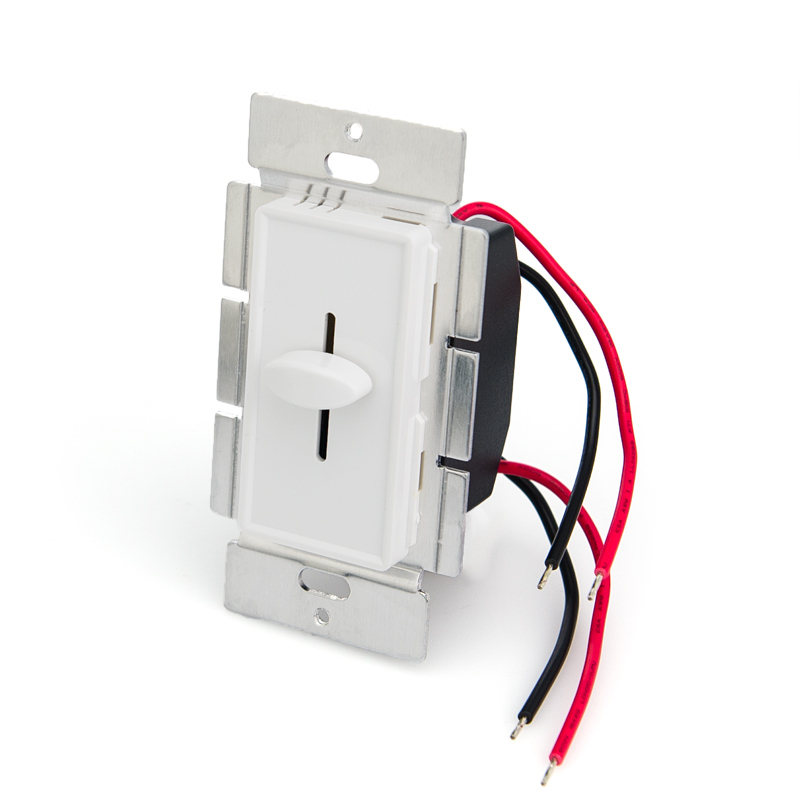 LED dimmer designed to fit in standard wall switch boxes. Universal single color LED dimmer that can dim any 12VDC or 24VDC LED products from 0%-100% using Pulse Width Modulation (PWM) slide control. 100W maximum load capacity. 4.5in wire leads for input and output connection. Dimming level is adjusted by built-in slider control. Available in white and almond housing. 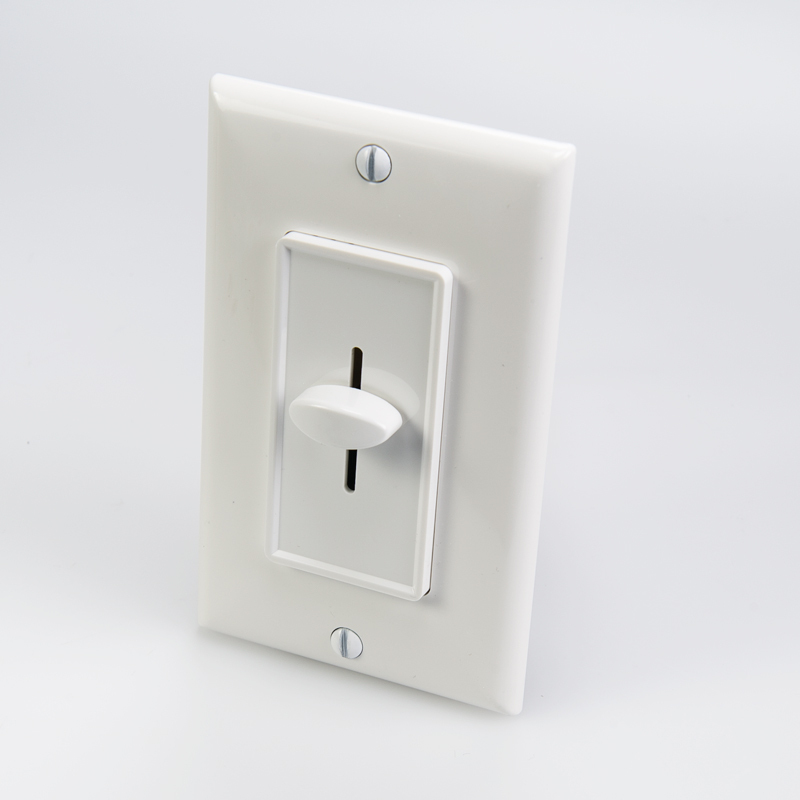 Optional wall trim plate also available. 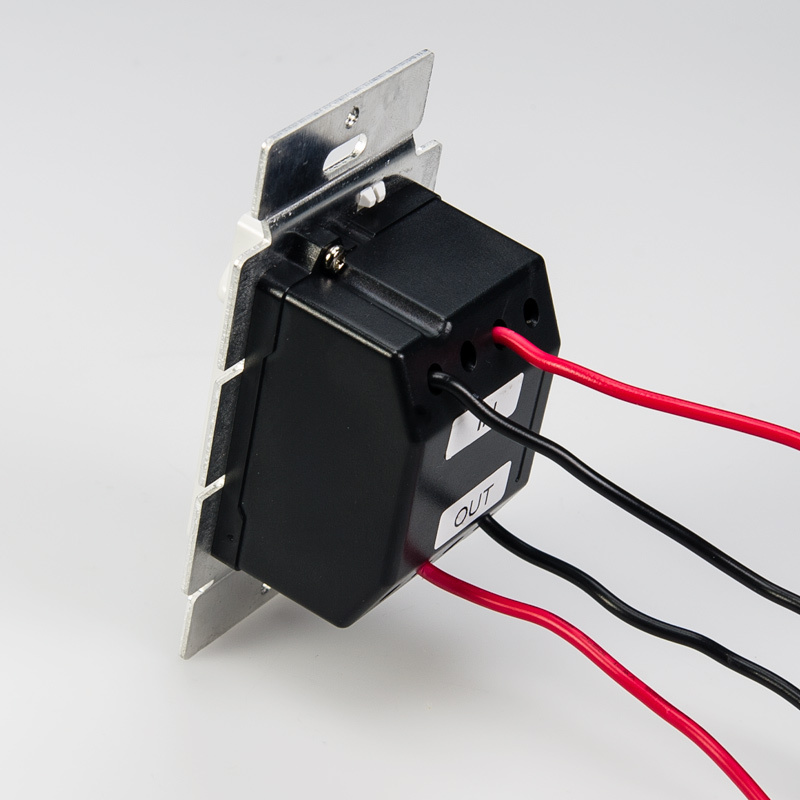 For installation in metal junction box, metal mounting plate must be insulated. 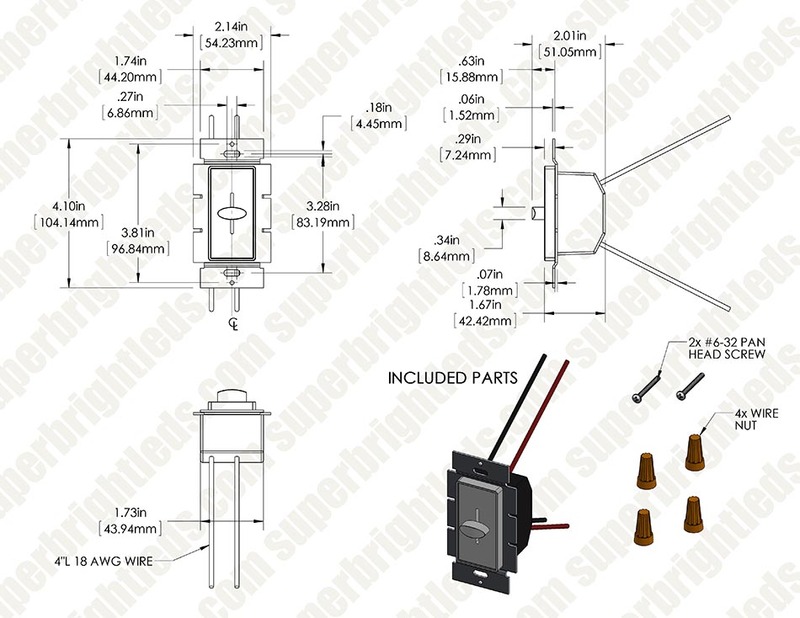 Ordered this switch as we are mounting under cabinet lighting. Wanted to be able to control the brightness, and this worked perfectly. works well.....would like a bit more range of control, but it will do just fine.